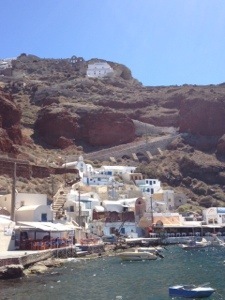 From Rome, we went to Santorini, one of the Greek Islands. 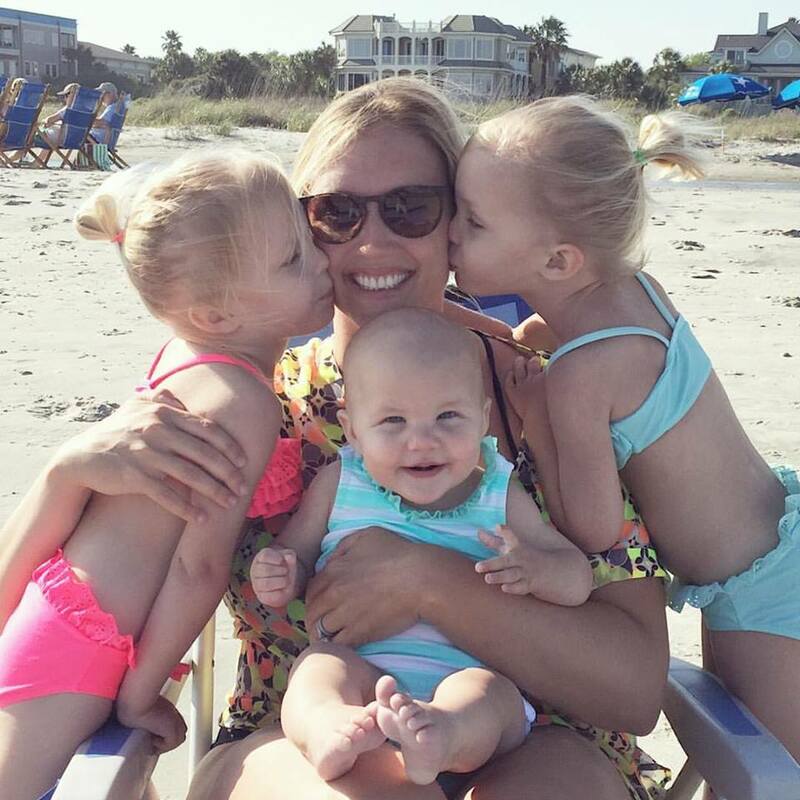 We’ve really been moving from place to place and our days have been jam packed with taking in all the sights. 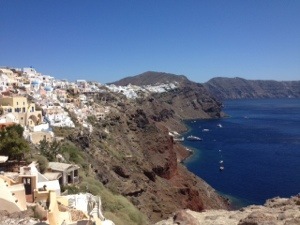 Santorini was our relaxation point, and we were so ready. 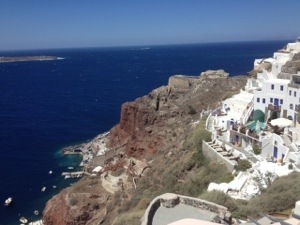 Honestly, we were pretty beat and napped on the terrace of our villa almost the entire first day that we were there. We only got in one workout in the 4 days we were there, but it was pretty intense and amazingly gorgeous. 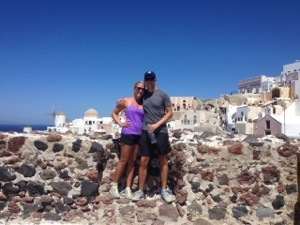 We hiked from Amoudi to Oia, and we did the hike 3 times. It was a full hour of anaerobic activity. 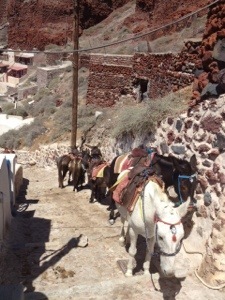 Most people take a donkey up and down the hill. First of all, I’m not a big fan of donkeys. Second of all, it seems kind of cruel and mean and third of all, it is just lazy. Here is a picture of the hill. We passed the same people going up and down and I’m sure they thought we were crazy doing it three times!! We then treated ourselves to lunch right on the water. 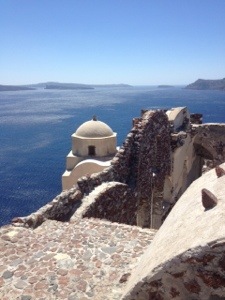 After our 4 days in Santorini, we made it to Athens, our final stop on the trip. We are at a hotel that has a full blown gym, my eyes lit up when I saw it. We tore it up this morning and did a pretty serious total body workout which I’m sure is going to make us both incredibly sore tomorrow. I can’t believe our trip is coming to a close. We are both gonna go into Project Lean Out mode when we get back, and I’m pretty excited about it. I love having that kind of structure in my life. First thing I’m doing when I get home…GO TO YOGA!! My body needs it so badly after all this traveling.